My team and I look forward to having you as our guest at Banyan Tree Ungasan. Some 70 m above sea level on the tip of Bali's Southern peninsula and close to the island's famed Uluwatu Temple, Banyan Tree Ungasan Bali luxury resort is your antidote to the demands of modern life. Seek rejuvenation from hectic life in the living sanctum of Banyan Tree Ungasan, delighting you with distinctive Balinese touches that blend flawlessly with the ethereal charm of the island's surround. 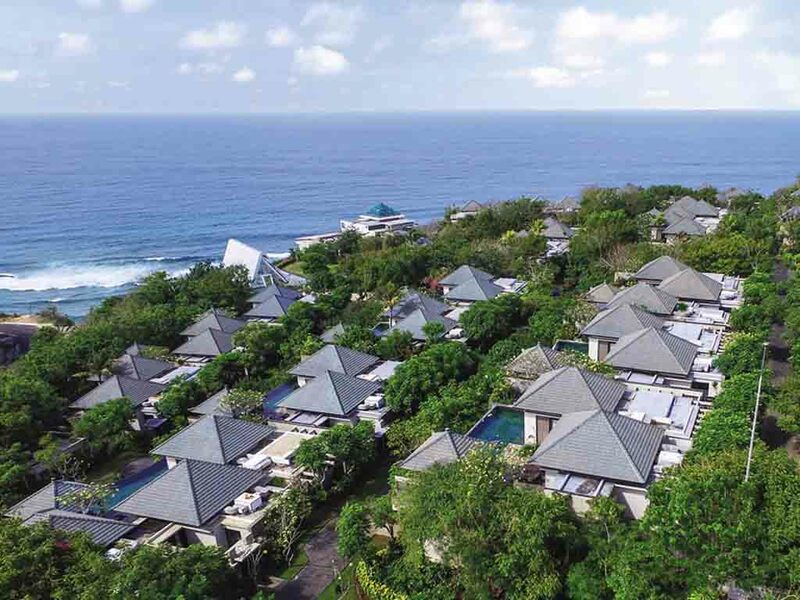 Banyan Tree Ungasan offers luxurious villas with private pools. Indoor and outdoor cooking stations, themed buffet nights summarise the Bambu experience. With sushi counters, grill station, barbecue pits, the wide array of dining options is complemented with live traditional entertainment and cultural performances. With a light and healthy menu to complement a soothing spa session, your experience at Tamarind Restaurant is enriched with the unique introduction of a herbal drink menu mixed by our resident Jamu Master. The pool bar is the ideal chillout place located near the main pool and serves light snacks / drinks and cocktails throughout the day. The bar also offers a variety of games and entertainment options. The bar serves classic cocktails - innovative molecular creations and a wine selection of spirits ideal for sunset / aperitifs or late drinks. The styled bar and outdoor lounge serves gourmet snacks and arabic shishas - water pipes.